Geoff Sansome is Head of Agriculture at Natural England. His grandfather, Harry Sansome, was posted to Gallipoli during the Great War. “My grandfather, Harry Sansome, was born at Oak Farm, Claines, in 1892, the youngest of six children and he was a natural horseman. On January 30, 1911, Harry signed up for four years in the Worcestershire Yeomanry, aged 18. 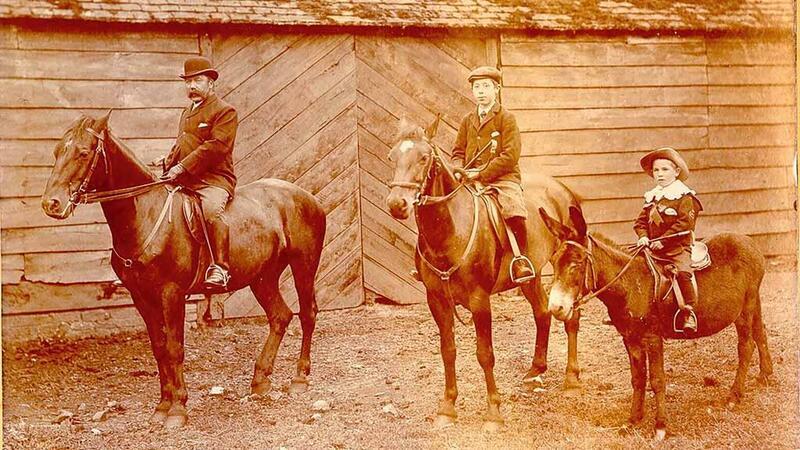 When Great Britain declared war on Germany on August 4, 1914, the Yeomanry was mobilised, divided in to regiments and sent to various farm houses across the country to prepare. By August 1915, news came the regiment would be ordered overseas but, as the horrors of Gallipoli unfolded, Harry’s destination was clear – the infamous Gallipoli peninsula in the Dardanelles. Over the coming days, the bombardment began with Harry and his comrades coming under heavy artillery fire. With no choice but to run through shrapnel to find safety and cover, Harry was wounded, marking what would be the beginning to the end of his time in battle. After going through 14 casualty stations, he was posted back to Gallipoli on October 21, full of trepidation having already encountered the devastating chaos just weeks before. He arrived to find the Yeomanry depleted and in a shocking state of health, having endured the tortures of trench warfare since he left. Towards the end of October, the regiment was finally withdrawn due to the loss of men and the severe state of its troops, and as Harry’s term was well expired by this point, he declined the chance to re-engage, heading back to England on January 15, 1916. Arriving in Worcester on February 14, he walked home from the station to see the welcome sight of his father cutting the hedges at Oak Farm, after surviving and living through such destruction.